With 800% elongation, 350 psi tensile and +/- 35% joint movement capability, NP-1 handles most every exterior application, up to 1-1/2" wide. 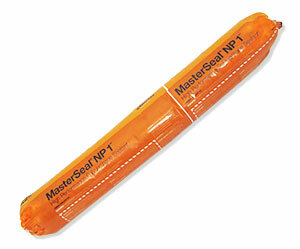 MasterSeal NP 150 (formerly Sonolastic 150 VLM), WHITE Color, Very Low Modulus / High Movement Capable Sealant. 300mL (10.1oz) Tube. Price/Tube.